The designing phase is by far the most important step in building yourself an eco-friendly and resource saving home. For it is here that you will make decisions that will affect how many resources you will require for the remaining time in the house (maybe up to 10 - 20 years). eco-friendly, warm, resource friendly and a healthier home to live in. Choosing an appropriate size for your house is a very important decision and will be something that determines the amount of resources you will need for the build process and for your remaining time in the hosue. A smaller house will help you to save on resources in the longer run and will also help to focus what resources you can do with that smaller space. This can then help in bringing a more innovative, stylish or more eco-friendly design to this smaller floor space. As always, it will be a personal decision as to what works best for you and we suggest that you look for your own perfect balance here between how much space you feel you need versus how much money it will cost to design, build and then run each year i.e. heating, cooling, furnishing etc. 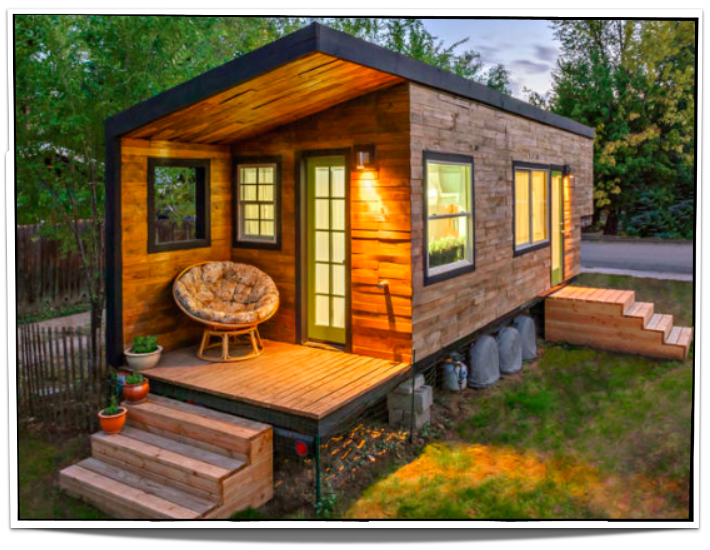 And there are many different options to choose from, ranging from tiny houses or small cottages right up to larger ranch style homes or even multiple story. You may also end up choosing to combine some of these e.g a small house with multiple levels for added solar warmth and better natural ventilation. There are a number of ways that you can use this abundant source of energy in your new home design including using solar electricity (on or off the grid), solar hot water systems or by using the passive solar design principles to help keep your home at a consistently warm temperature. And whilst there are many kinds of ways to incorporate this into your design, it is often best to accompany these natural heating systems with other kinds of ideas such as natural ventilation, thermal mass & solar panel positioning to help take advantage of these natural forms of heating and power. We have discussed some of these types of ideas in more detail on our energy efficiency page so we invite you to check this out to help make your overall house design more resource friendly and more self-sustaining. Depending on where you live, water may be a very precious and valued resource so when you are designing a new home, these types of water usage and collection issues will likely be another important consideration. As you can see from this very simple picture, rainwater will be collected and stored in a tank which can then be used around your home for things like flushing toilets, washing clothes or watering the garden. You are still able to connect to the mains for your other water needs or as this picture shows, you can also consider doing some water dowsing if you are able to. More and more now, house designs are starting to incorporate these very important & natural water sustainability ideas into their designs to help you save on the amount of external water resource that you use in our household. Getting the insulation right during the design phase is something that can save you lots of money and resource in the future. Firstly, you will be able to keep your house warmer in winter and cooler in summer and secondly, you will not be required to do expensive and time consuming insulation exercises in the future. As you can see here from this image here, our home loses a lot of heat from the roof, walls and floor but many of us don't realise that we also lose up to 20% out of our windows and door spaces also! These are all quite important for design factors as there are many products that will help you to reduce these spaces. Most commonly, for our walls and roof insulation, a very common method is fibreglass however in this growing eco-friendly world, you also have a myriad of other options available to you. Here is a good article which helps to detail just some of the alternative options available to you. Depending on the type of house design you are interested to create, thermal mass may become another important consideration for you. By adding thermal mass to your design, you will be better able to retain heat from the sun as it absorbs this warmth and then releases this wonderful warmth into your house. And as we can see from this video, you can provide a very significant amount of your heating (or cooling) and maintain a very consistently warm and pleasant temperature inside with the help of thermal mass and window design. Passive solar house designs are now starting to become much more popular in this green age and can help to ensure that you save on many resources as you gain the heating and warmth from a wonderfully free energy source. There are lots of different reasons why good ventilation is very important and all of these will help to improve your overall health and wellbeing. To start with, a lack of ventilation can cause a stagnation of air as germs and carbon dioxide circulates around your house. A lack of ventilation can also cause condensation and dampness to arise in the house which adds a whole new layer of unhealthiness in your home. It is good if your house design can incorporate a natural ventilation to help improve the overall quality of your home such as the one found in this short video and from the house design seen below. As you can see from the above design, we can use deciduous trees to receive heat from the sun during winter whilst providing shade during the summer. This will help to keep our house at a comfortable temperature throughout the year and is a wonderful use of our garden space. In addition to this, we can also use our land space to grow many kinds of fruit & nut trees as well as many different kinds of vegetables to help us become a more sustainable, resource friendly home.